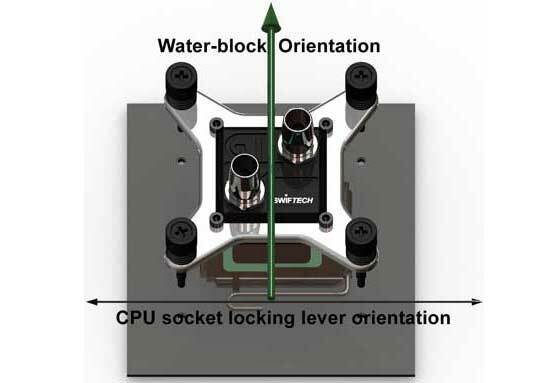 I took that long to get watercooling up and running that swiftech brought out a new CPU block in the mean time. So this is just the Apogee GTZ, else I'd probably be running whatever the new one is. If you're wondering what the extra metal things sported in the middle of my tubing, they're Koolance Quick Disconnects, so that I'll be able to remove either the GPU or CPU without having to drain the entire loop and faff about with un-barbing parts of the tubing. I'm rather pleased with how clean I managed to run the cables here. The pipe on the left is the return pipe from the CPU/GPU loop, and it has the T-Line filport on the top. While the pipe on the right is the flow towards the CPU/GPU loop, straight from the radiator. I was just sat looking at this picture wondering why I decided to cross the inlet/outlet over on the radiator, and then realized it was so I could make smoother bends that were less likely to kink. And that's how she looks. And the outside. With some internal lighting, you'll be able to see through the tinted perspex which should look pretty sweet. You can probably see that the outside of the panel is kind of distressed. Not to the point where it's obvious looking at it in normal lighting, but enough that I'm kind of miffed with it. The distressing happened when I had to separate the aluminium from the plastic inside of the case to cut the window hole out. It was stuck on pretty good and the aluminium kept bending as I tried to ease it off, hence the distress marks. I've considered trying again with a new panel, but I can't think of a way to get it off cleanly or find a clean way to cut the inside plastic hole larger than the outside aluminium hole. So I'm going to leave it for now. So that's my mod pretty much complete. And it only took me just over a year! I blame Fermi's delay for my lack of reason to get it ready quickly. cba'd. Thanks for pointing it out. LOL Thought I should say something, it will affect your temps slightly. I always felt kind of guilty about getting this project to 90% of it's potential and then settling at a stage where it just worked. While I'm still happy with the hardware in my PC, I've decided to give this project a lot of love, and finish off that last 10% of cosmetic touches. Starting with getting rid of the awful tan colour on the Noctua fans (sorry Noctua, you've got nice fans, but a horrible sense of colour! ), replacing my tubing with something a little more customised (a secret to follow), and upgrading my CPU waterblock while I've got the loop apart. Second on my agenda was to get rid of some cable clutter at the back of my case. All the red and yellow wires in the below picture are from my Scythe Kazemaster fan controller. I'm not sure if I bought the Kazemaster before deciding to get a T-Balancer Big NG, but seen as though I do have a Big NG as well, I'm going to run all my fans straight from that from now on. But before I can do that, I need a couple of fan splitter cables. I couldn't find any short ones, so I had a go at making my own. Anyway, once that was done, I had a custom cable to daisy chain 3 fans from one connector that wasn't 30cm+ long. It reads the fan rpm from the first adaptor, so I can still have an rpm readout on my BigNG. Which is already a big improvement without the hassle of having to sleeve all those Kazemaster cables from before! And, the shot I hope you've been waiting for, my rig with sane coloured fans. Where Does The General Keep His Soldiers? Up His Sleevies! 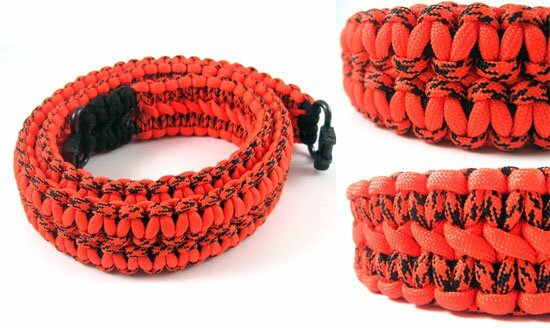 Paracord! 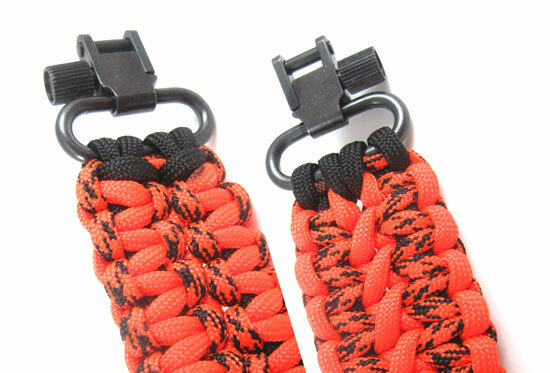 I'm going for the sleeveless paracord look, and while it might be a lot more effort than normal heatshrink sleeving, I think it looks a lot better. One down, a bazilion to go! This is a slow process! I'm very happy with how it's turned out, and I am going to like this very much! Even the back of the cables at the back of the case are going to look a lot nicer! Did you buy the cord already gutted or do it yourself? Just bought the regular stuff and am gutting it myself, it's easy enough to do. If I've got enough left over, I'd be tempted to make one of those bracelets too. The orange stuff is my rifle sling. Have made zipper pulls, my kids each a bracelet, daughter a couple necklaces, working on a bullwhip.. great for clearing the mind of tech crap. Good place I use for learning the different knots is this guys channel, best tying how-to vids I have seen. While I'm not going to use their sleeving, I did need a decent molex crimp and replacement ATX remover to carry on. My sunbeamtech remover had left me needing to replace several crimp pins with now broken wings, and not long after the remover broke entirely on me! These joins ended up being a little messy at the end, but once pushed back into the PSU connector actually hid pretty well. I had to use that much force to get the wires + sleeving back into the connector that it's warped the plastic a bit! While the 24pin ATX cable is going to take forever to sleeve, I can't wait to see it done too! So here's why being lazy with watercooling is a bad idea. As you can no doubt tell from some of my recent WC photos, plasticiser has leached out of all my pipes and into my loop. Being lazy and knowing I was due to replace the tubing later as part of this project, I didn't do anything about it until now. Yeah, it's pretty grim. Worst part is that the block shouldn't be black at all! I think that's burnt on plasticiser from the CPU heat (I might have forgotten to plug my pump in at one point too, causing a thermal shutdown which can't have helped!). Really glad I've gone for some plasticiser free tubing this time round. Should stop a lot of potential headaches down the line. One question about the cabling- Color coded by voltage? Some people don't tend to have much of an issue with it, the biggest factor is the water temp of your loop. When it hits somewhere between 40-50oC water temp (someone studied it but I can't remember where I read it) then the plasticiser begins to break down and come out of your pipes. But still, if you can get the newer tubing without it then it's one less thing to worry about. Nope, just did the wires in a pattern that I liked the look of. Had to pay attention with making sure I did them back the same way I took them off though, nearly did one cable backwards before I noticed. My case was built around the radiator, so I really don't want to have to get a different one! It's not going to be in too bad of a state, even with the messed up water block temps were acceptable. So yeah, hoping vinegar will get the most of it, and even if it doesn't I'll put up with it. I've always used a T-Line to fill my WC loops in the past, mostly because I didn't have the space for a full sized reservoir and I felt T-Lines gave me a cleaner looking system, but I did sorely miss the quick-bleed ability of reservoirs. Due to this I've been keeping my eye out for a suitable small res for a while now, but I had not found any that would fit that wasn't a bay res (something I didn't want to go for as it'd make my WC run use more piping and runs than I wanted). It's a FrozenQ FlexTank and is both really nice looking and small enough for use in my system. I don't know if I'd got one from a bad batch, but the mounting hardware was crap, and not even finished off properly (there should have been screw holes where there were none and the acrylic clips snapped the first time I tried to use them!). But that didn't matter as I wasn't planning on using them anyway. I was going to just stash the FlexTank just under this bit in my case (where a FDD would have gone a long time ago) but realised that I liked the look of it too much to hide it like that, and I really could do with being able to see it to know when I need to top up the coolant. So I had the epiphany of keeping the res stashed away there, but cutting out a hole in the case surround to see the top of the res. I made the cable routing hole bigger round the back of the motherboard tray at the same time, as I wasn't going to have enough room after sleeving all my cables to fit them through the existing slot. With a couple of LED screw-in caps to the un-used fillports, this is going to look very nice indeed. loving the look of this beast. done a great job and nice to see your still rocking the system and updating as you go gota post some benchmarks soon? I've had an idea in the back of my mind with what I wanted to do about the tubing in my rig, having been unable to find any deep blood red available to buy outright. But I've not had chance to check if it was going to work until now, and now that I know it is going to work, I can't decide if it's more of a tease for you or me to see a taste of what is to come! Now I have to wait until I've reassembled everything to see if my motherboard still works!